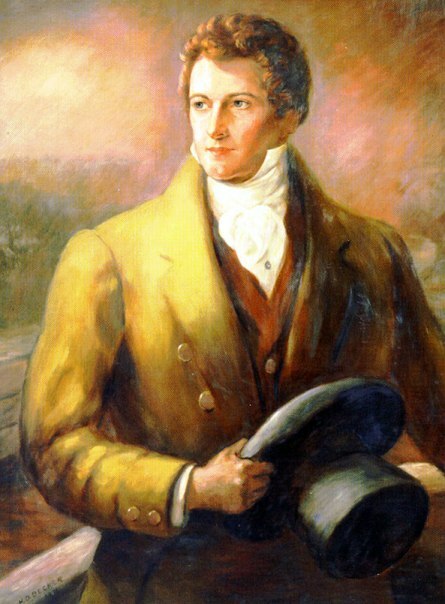 Philip Hone served as New York’s mayor only from 1826 to 1827. But Hone—the son of a carpenter who made a fortune in the auction business as a young man—spent the next two decades serving the city in another way. From 1828 to his death in 1851, Hone kept a diary (free to access) chronicling the political and social changes of the growing metropolis. His diary offers a fascinating glimpse of the daily life of New York filtered through the mind of a reflective writer, whose thoughts about culture and politics echo some of the same conversations we continue to have today. “The old custom of visiting on New Year’s Day, and the happy greetings which have so long been given on that occasion, have been well kept up this year,” Hone wrote January 2, 1831. 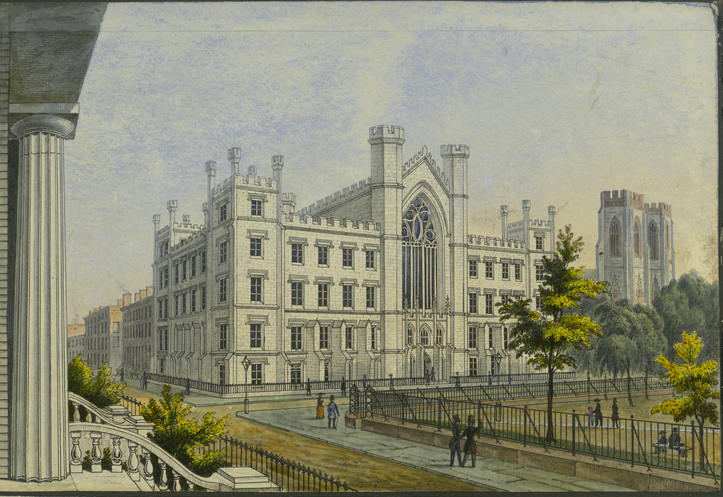 The same year, he also noted the city’s “new University”—today’s NYU (above, in 1850)—and dined often with friends like Washington Irving at the Washington Hotel, at the southern tip of Broadway. 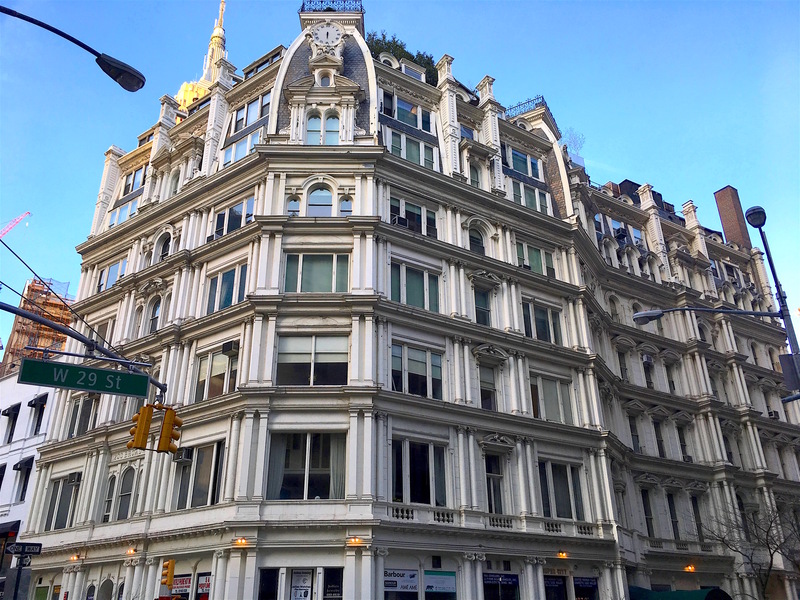 Before moving to Broadway and Great Jones Street, he lived in a townhouse on Broadway opposite City Hall next to the American Hotel (below). He worshipped at Trinity Church. Hone, a Whig, wrote about the politicians of the day; his dining partners included John Quincy Adams and Martin Van Buren (left, in 1828). 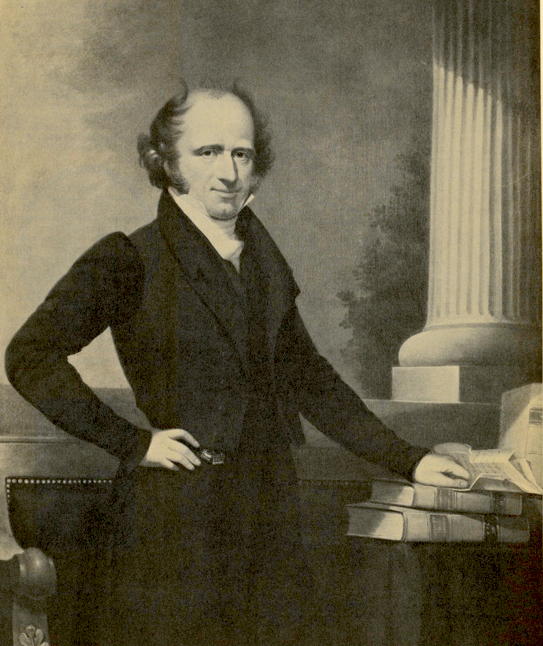 He noted a reception held for the arrival of Henry Clay. 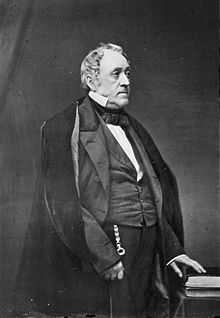 Hone also wrote of “the Irish and other foreigners” and other “discontented men” for fomenting labor troubles on the wharves in 1836. He recorded the names of steamships that crossed the Atlantic; an amazing feat in his day and even toured ships when they were docked at the Battery or North River. 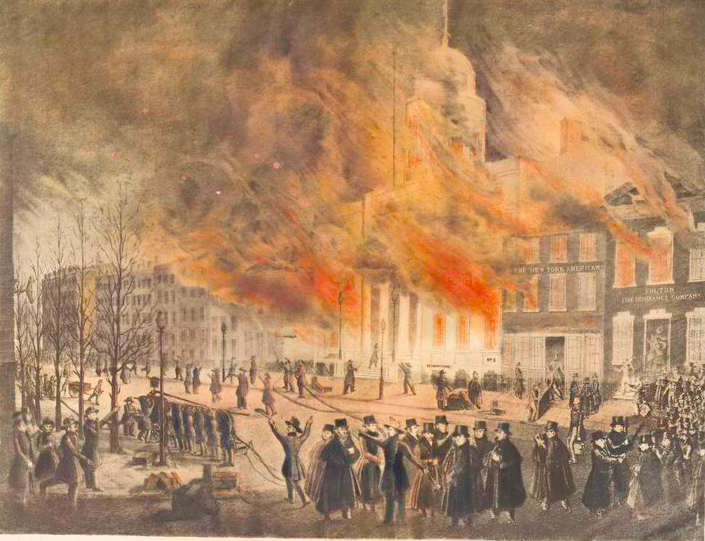 While having dinner at his home with William Astor and other distinguished New Yorkers in December 1838, he experienced something sadly common in the city at the time. “It did not cry during the time we had it but lay in a placid, dozing state, and occasionally, on the approach of the light, opened its little, sparkling eyes, and seemed satisfied with the company into which it had been strangely introduced,” wrote Hone. 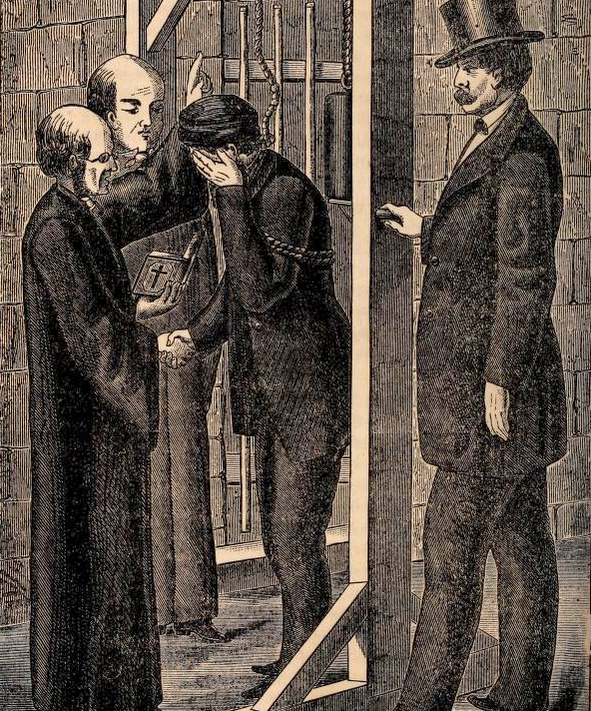 “Poor little innocent—abandoned by its natural protector, and thrown at its entrance into life upon the sympathy of a selfish world….” Hone wrote that he thought about taking the child into his own home, but his dinner guests convinced him otherwise, and the “little wanderer” was brought to the city almshouse. This part of Hone’s diary brings me to tears. But the horrible tragedy of infant abandonment touched Hone (at left, near the end of his life) enough to include it in his diary, so I included it here too. Every few years a shocking murder occurs in New York, one that overwhelms the city’s attention and provokes fear and outrage about the randomness of urban crime. 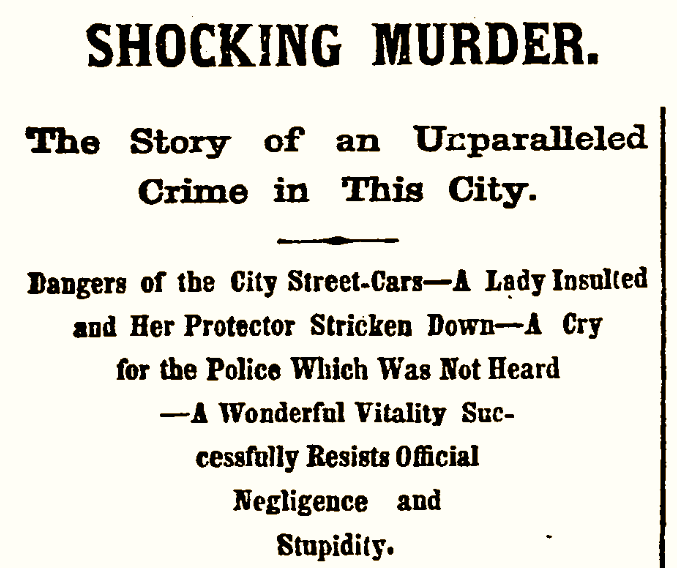 The “Car-Hook Tragedy” of 1871 was one of those murders. It happened on the evening of April 26. 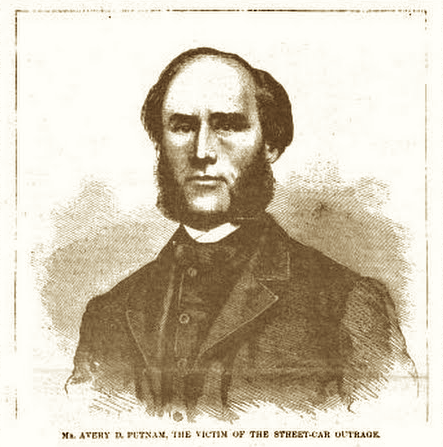 Avery Putnam (below), by all accounts a mild-mannered Pearl Street merchant, was escorting a dressmaker family friend identified as Madam Duval to the Church of the Advent at 55 West 46th Street. Madam Duval’s younger daughter was at the church singing in the choir. Putnam was taking Duval and her older daughter, 16-year-old Jenny, to the performance from their home on Broadway and Ninth Street. The three boarded an uptown streetcar at University Place. 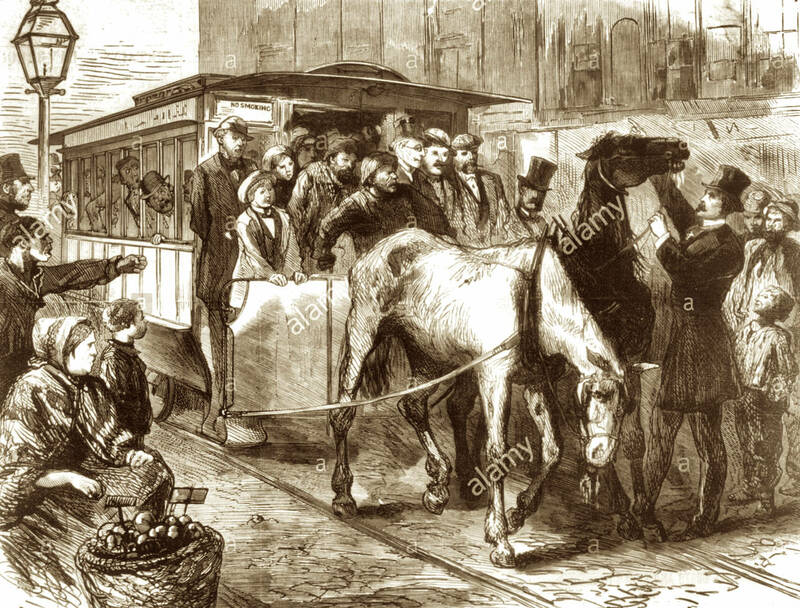 The main form of public transportation at a time when elevated trains were still in infancy, streetcars were pulled by horses along steel tracks embedded in the street. For a nickel fare, passengers could expect a sometimes noisy, smelly, bumpy ride — an increasingly in the Gilded Age, crime. The streetcar carrying the three traveled up Broadway. At about 29th Street — as it passed the then-new Gilsey House (right), a hotel and now an apartment house still standing today — Jennie went on the car’s outside platform to look at the clock. At that moment, a drunk, recently fired conductor named William Foster (below left) leered at Jenny, and then her mother, “in a most offensive manner,” reported the New-York Tribune. 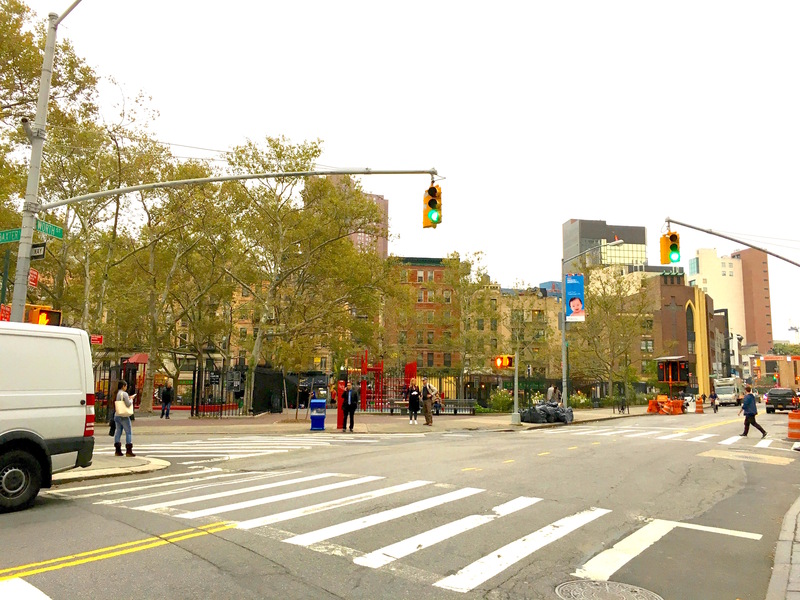 At 46th Street and Seventh Avenue, Putnam and the Duvals left the streetcar. 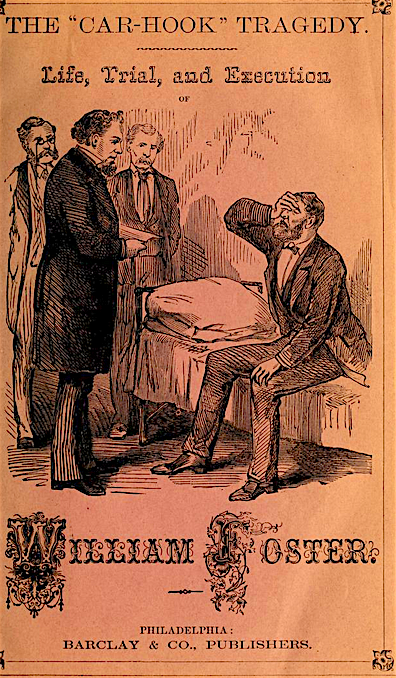 True to his word, Foster followed behind them with a car-hook (an iron tool conductors used) and bashed Putnam over the head with it. The merchant was left mortally wounded in the street, the Duvals shrieking in horror. He died at St. Luke’s Hospital two days later. 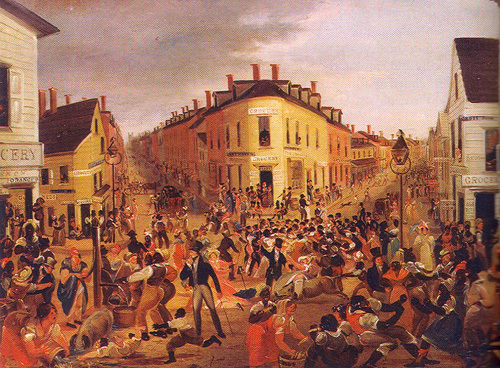 The savagery of the murder was rivaled by the callousness of passersby. “None of the passers-by stopped to assist the ladies in dragging the body of their unfortunate friend to the sidewalk, out of the way of a down car, which was rapidly approaching,” wrote Harper’s Weekly. 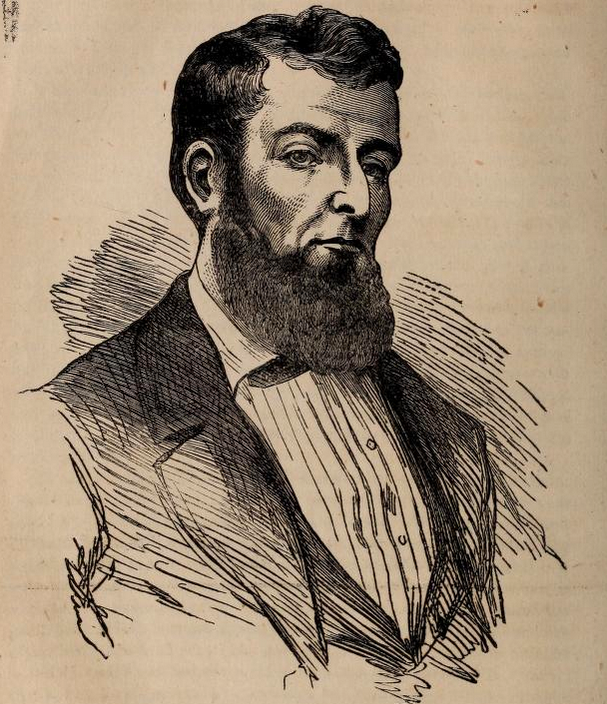 Foster, a hulking New York native had a previous job working for Boss Tweed, was arrested and arraigned on murder charges. “Foster had very little to offer in his own defense,” states Murder by Gaslight. Prosecutors, however, said the murder was premeditated, in part because Foster forced the driver to give him the car-hook four blocks before Putnam left the streetcar. 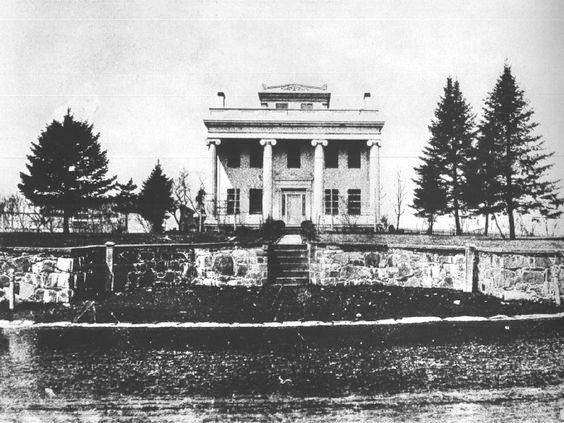 At his trial in May, the jury found him guilty, and Foster was sentenced to hang in the Tombs. The focus of the car-hook tragedy now turned to Foster’s sentence. Many New Yorkers supported it; others felt he deserved mercy, as he was a husband and father. There were also allegations that Foster’s wealthy father and friends tried to bribe Madam Duval to ask the governor to pardon the killer. Foster got several reprieves. But in the end, he died for his crime, in front of 300 witnesses in the yard inside the Tombs (right). It was in a part of Manhattan, at the edge of a poor neighborhood of tenements and groggeries, where no one wanted to end up. 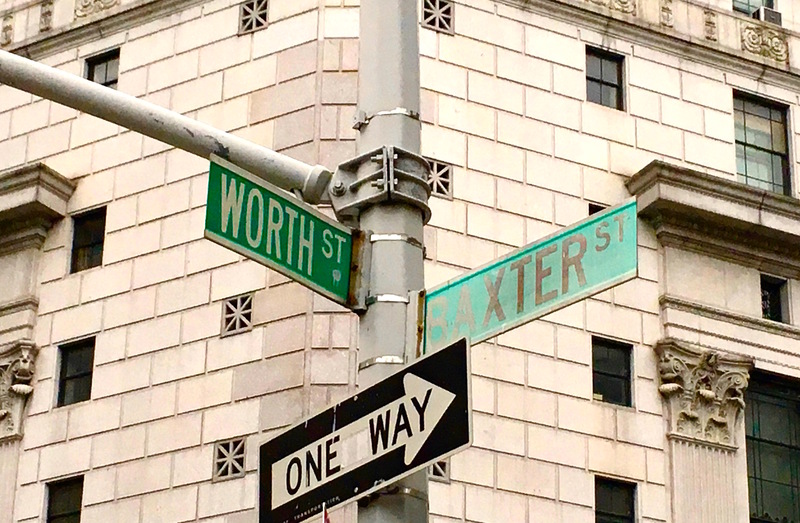 But thousands of city residents did found themselves on Misery Lane, as the short stretch of East 26th Street between First Avenue and the East River was known in the turn-of-the-century city. 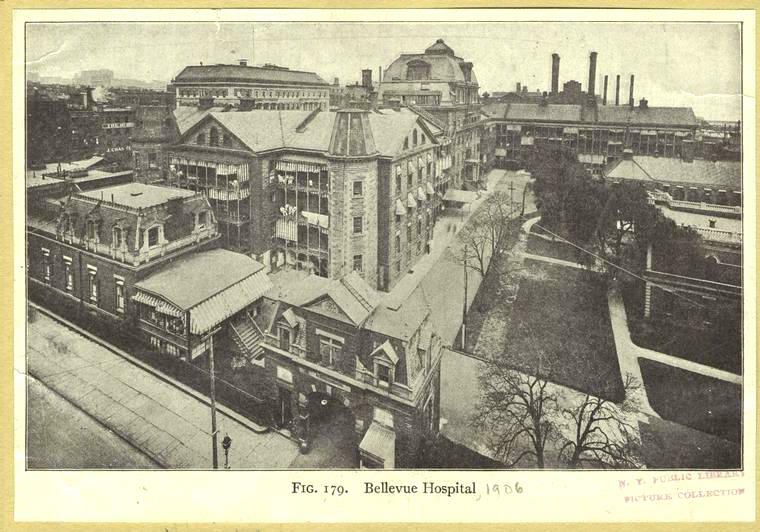 This block was a dumping ground for the sick, alcoholic, and mentally ill, who sought treatment at Bellevue Hospital, which bordered East 26th Street (above). Twenty-sixth Street between they call Misery Lane! Criminals showed up on Misery Lane as well. 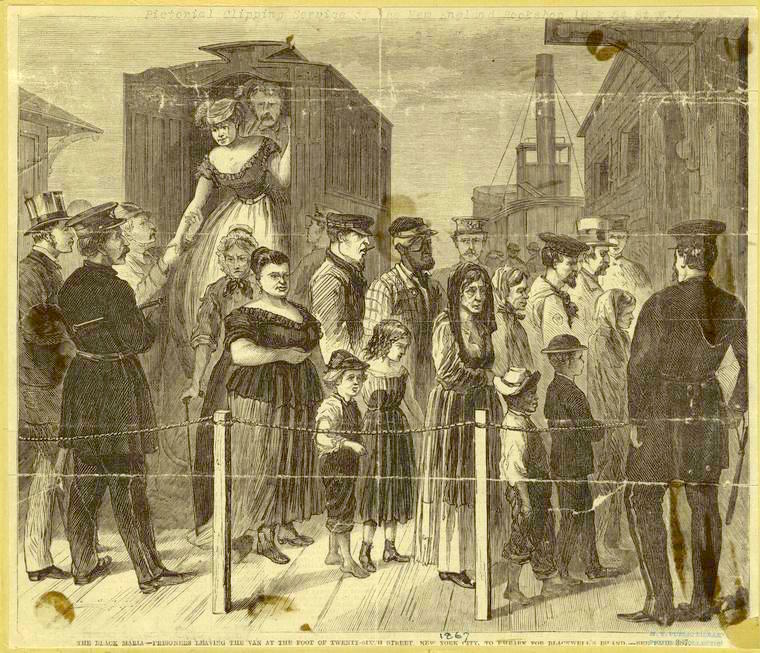 Men and women convicted of a range of crimes were deposited via police wagon on a dock known as Charities Pier at the end of East 26th Street (below). From there, they were ferried to the workhouse and penitentiary across the East River to Blackwell’s Island to serve their time. 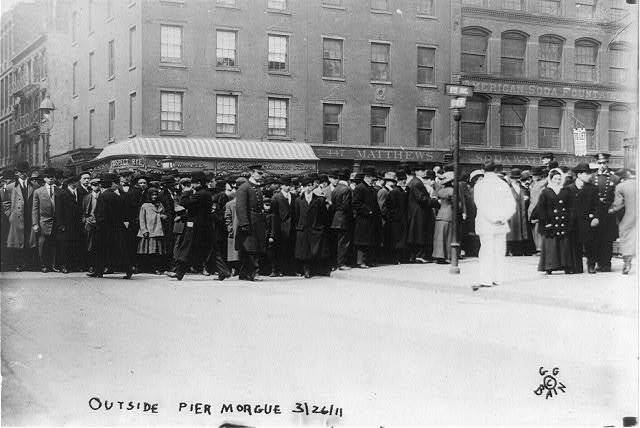 The poor also stood in line at Charities Pier. 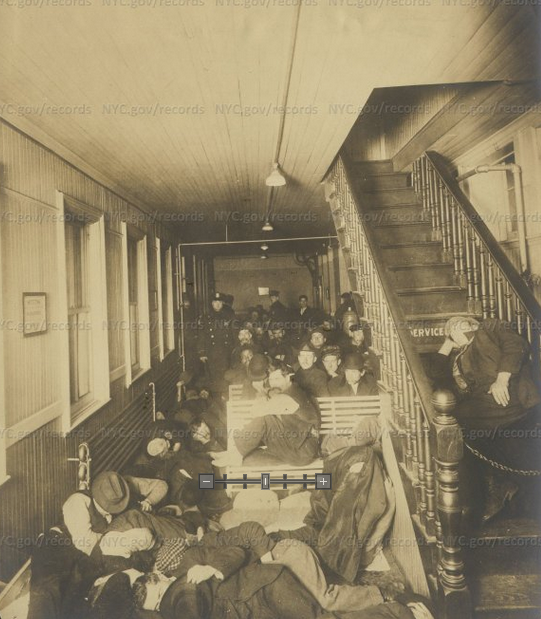 Unable to afford rent, food, coal, and other necessities, their last resort was the Blackwell’s Island almshouse. Misery Lane was the site of the Municipal Lodging House, built in 1909 to house mostly homeless, often derelict men (top and second photos), but also women and children. With the city morgue on 26th Street as well, Misery Lane was the last place New York’s unknown dead went before being interred in the potter’s field on Hart Island. And when mass tragedy struck the city, Misery Lane was involved as well. 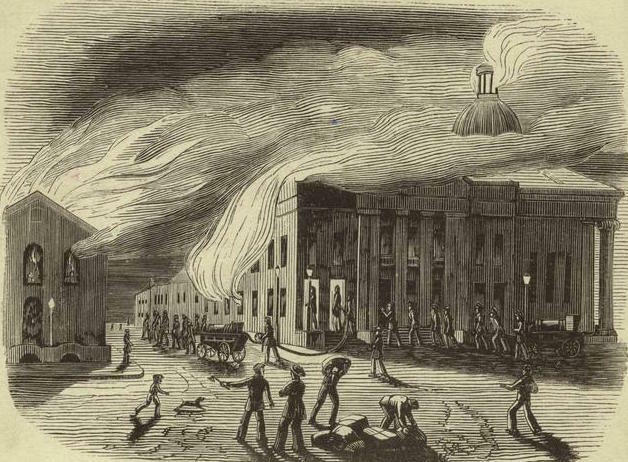 Bodies found after the General Slocum disaster were brought here to be identified—as were the horribly burned corpses of Triangle Fire victims (above right). Misery Lane is long gone, of course. 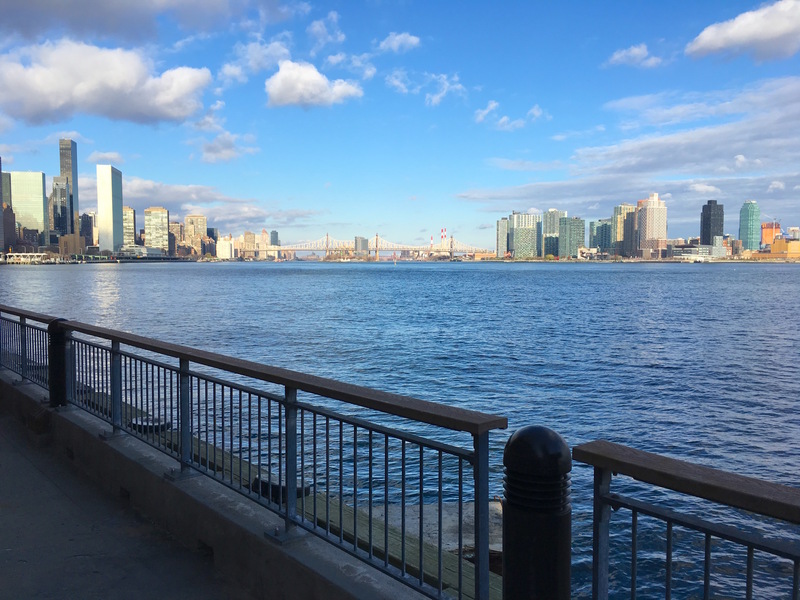 Today, 26th Street ends not at a charity-run pier but with a lovely view of the deceptively placid river . . . all the way to Blackwell’s, er, Roosevelt Island (above). 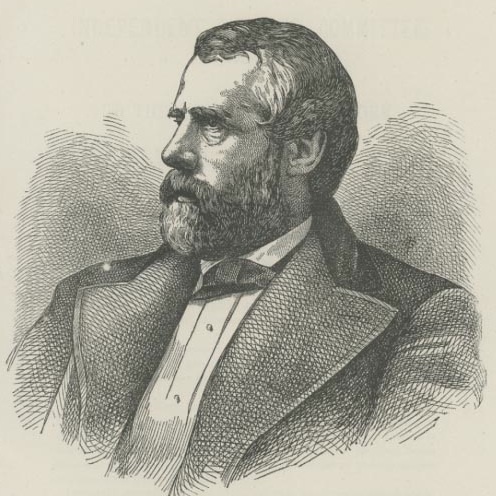 The name Andrew Haswell Green typically draws blank stares from today’s city residents, who are unfamiliar with his accomplishments helping to build the parks, museums, and zoos of 19th century New York—not to mention the consolidated city itself. 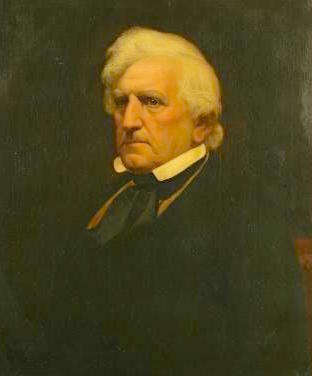 In the late 1850s, Green was a member of the Central Park Board of Commissioners, tasked with selecting the design for the new park. It was Green who recognized the beauty and brilliance of Calvert Vaux and Frederick Law Olmsted’s Greensward Plan, with its woodsy and pastoral landscapes. He shepherded the plan, helping it become reality. The New York Public Library, Metropolitan Museum of Art, Museum of Natural History, Central Park Zoo—give props to Green, now city comptroller, for these late 19th century achievements. 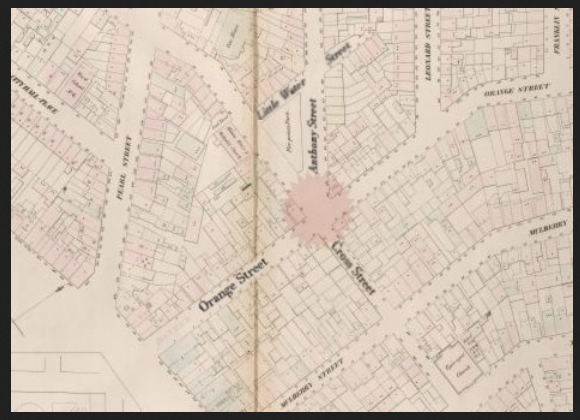 His 1868 proposal to consolidate the city, however, was a harder sell. Nicknamed “Green’s Hobby,” the idea of combining Manhattan, Brooklyn, and other towns and cities along the city’s port barely gained traction. But Green persisted. In 1890, the city council created a task force to look into the idea. By the middle of the decade, after much debate (and grumbling from Brooklynites), consolidation was approved; the new city was born on January 1, 1898. Consolidation was an economic and practical success. But Green didn’t live long enough to see the results. In 1903, while arriving at his home on Park Avenue, he was killed, ambushed by a gun-wielding man who mistook Green, then in his 80s, for someone else with the same last name. The “father of New York City” was memorialized in Central Park with a bench bearing his name. He now also has a riverfront park named for him overlooking the East River at 60th Street. 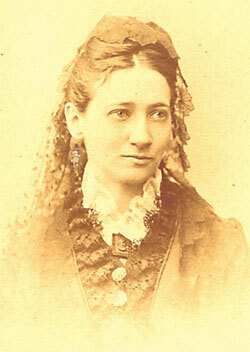 Gertrude Tredwell, born into privilege in genteel 19th century New York, had many advantages. She also reportedly had a domineering father and a lost love. And 80 years after her death, her spirit is rumored to roam the house where she lived all of her 93 years. 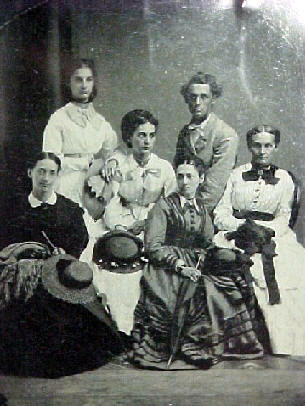 Her life began in 1840, the youngest of the eight children of merchant Seabury Tredwell. 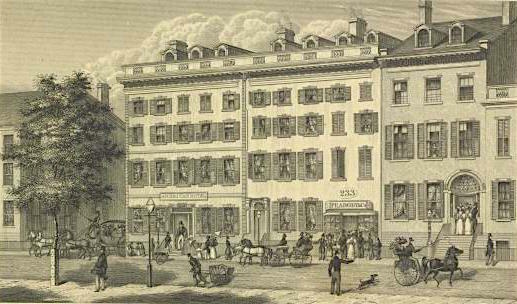 Tredwell had a successful hardware business, and five years before Gertrude was born, he moved his brood into a new Federal-style townhouse on East Fourth Street. 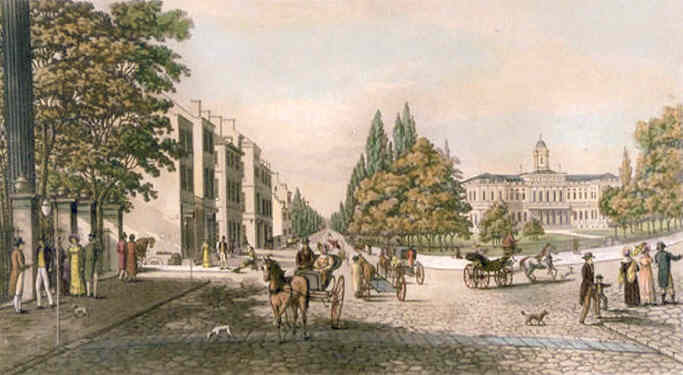 At the time, the area between Washington Square Park and recently opened Lafayette Place was the most fashionable section of the city. Gertrude grew up in comfort, but her life took a tragic turn. “According to the family’s history, Gertrude fell in love with a doctor, Lewis Walton,” wrote Philip Ernest Schoenberg in Ghosts of Manhattan. Perhaps Getrude never found love again. Or maybe she did it to spurn her father, who died in 1865. But Gertrude never married. 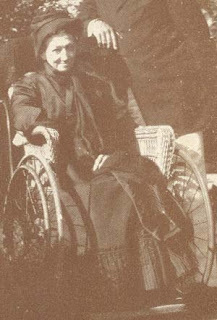 Along with her mother and several never-married siblings, Gertrude continued to live in the house. 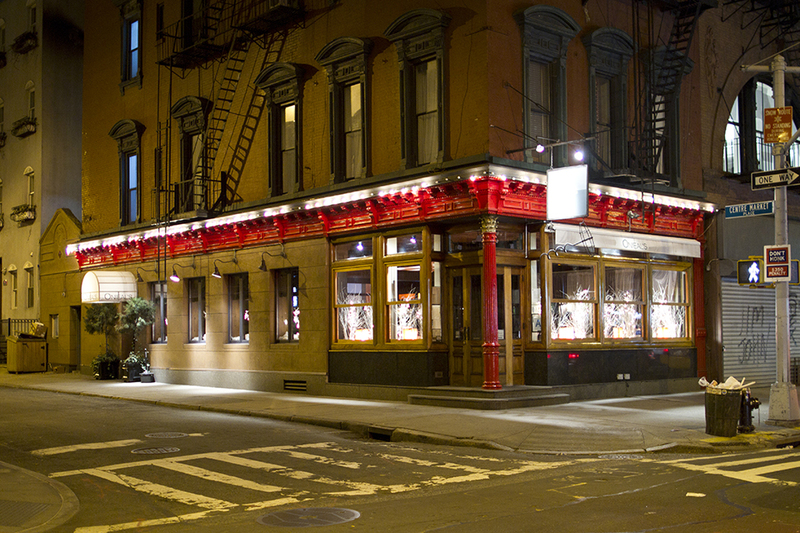 As the years went on, East Fourth Street became a grittier industrial enclave. The Tredwells were seen taking carriage rides but kept to themselves. “They barricaded themselves there against a city creeping uptown like a tide,” wrote The New York Times in 1951. One by one her mother and siblings passed on. By 1909, she was 69 years old and alone. “The blinds were kept closed in the drawing room; the dining room was never used; and the dust of years accumulated,” the Times wrote in 1936. “By then, she was considered an eccentric recluse whose only interest seemed to be keeping the house exactly how it was when her father died,” wrote Cheri Farnsworth in The Big Book of New York Ghost Stories. She died in 1933 in the same four-poster bed she was born in. 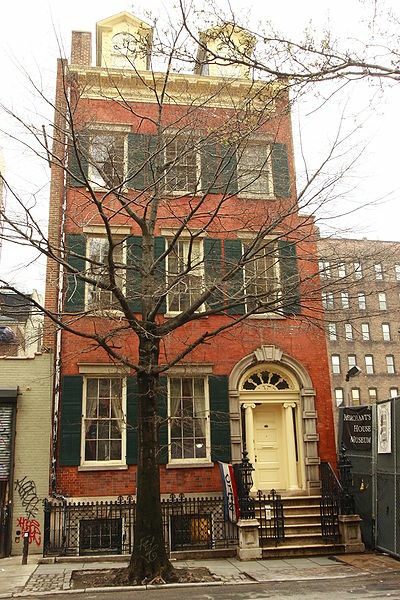 With the house in pristine 19th century condition, it became the Merchant House Museum, a fascinating place taking visitors back to New York in the 1840s. And Gertrude? Over the decades, she’s been seen in the kitchen, spotted gliding up and down the stairs, playing the piano, and arranging teacups. Perhaps she is reluctant to leave the house where she grew up, fell in love, and had her heart broken. There’s a lot of New York history at 174 Grand Street. This corner, at Centre Market Place, was the location of a polling place in the 1860s, a church in the 1870s, and a deadly jewelry store robbery in the 1920s. A brothel operated there, as did a saloon-turned-speakeasy catering to officers who worked across the street at the old police headquarters. Cops didn’t have to actually cross the street to get a drink there. A tunnel was dug from the police building directly to the bar (and still exists today; it’s now a wine cellar). Very convenient. Now it’s the site of a restaurant/bar called O’Nieal’s. And though the neighborhood no longer has raffish old New York charm, O’Nieal’s lovely ceiling will transport you back to that version of the city. 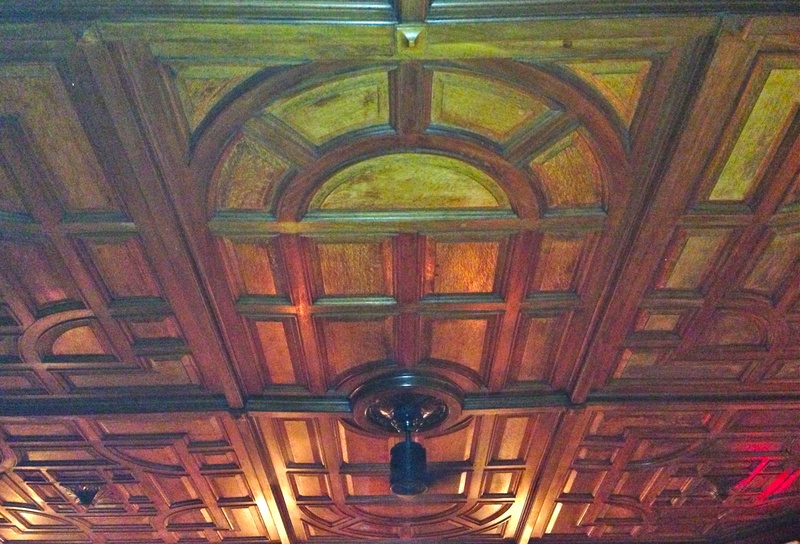 The beautifully carved chunk of mahogany wood spans the entire restaurant. Walk in, and look up. There’s not very much information out there on an artist named Louis Augier. 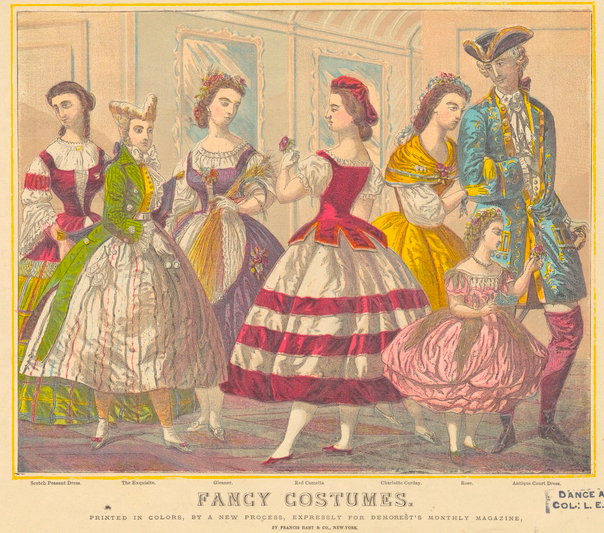 I’m not even sure he was actually in New York in the first half of the 19th century, the time period these depictions were supposedly created. 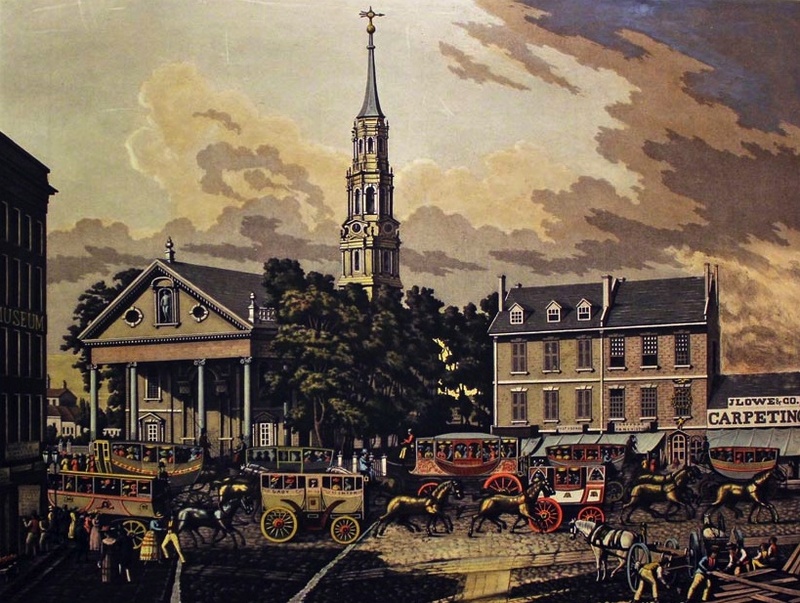 But his life-like, detailed images of the new city of New York (above, “New York in 1831,” showing St. Paul’s Chapel on Lower Broadway) in the 1810s through the 1850s are captivating. 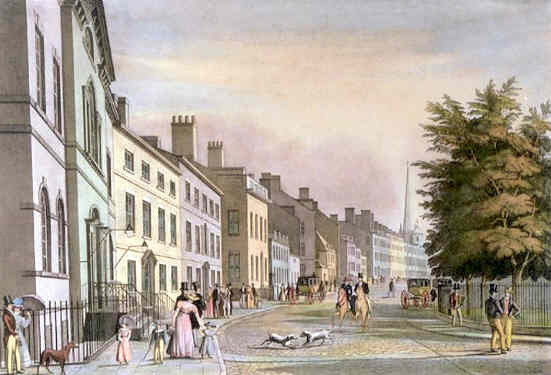 In the absence of photos, they seem to tell us how upper-crust residents lived (below, Bowling Green in 1831). No doubt these images are cleaned-up versions of the way the city really looked: there’s no trash in the streets, no poverty, no problems bigger than a traffic jam. Social realism they are not. Still, we see the fashions the city’s elite wore, the way their homes looked, and how they got around (those omnibuses in the top image look a little rickety). 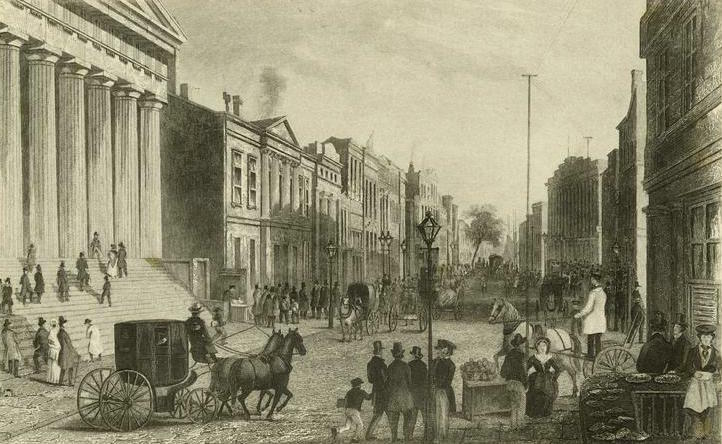 And they seem to enjoy the same thing New Yorkers of today love doing: strolling along the streets of their neighborhoods, which look strangely similar now as it did then (above: City Hall, 1819). Just as abortion and the death penalty are hot-button issues today, temperance divided Americans in the 19th century. The millions of members of the American Temperance Society, the Women’s Christian Temperance Union, and other groups believed that banning alcohol could eliminate major social problems like poverty and crime. These organizations were pretty powerful. But it was hard to persuade people to give up booze when alcoholic beverages were often safer to drink than water. That’s where the temperance fountain comes in. “The premise behind the fountains was that the availability of cool drinking water would make alcohol less tempting,” wrote Therese Loeb Kreuzer in a 2012 article in The Villager. Two still stand in Manhattan. 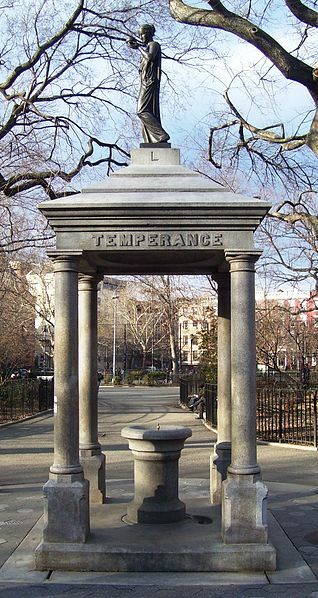 One is in Tompkins Square Park, a strange place for a temperance fountain considering that the area was packed with beer-loving Germans at the time. 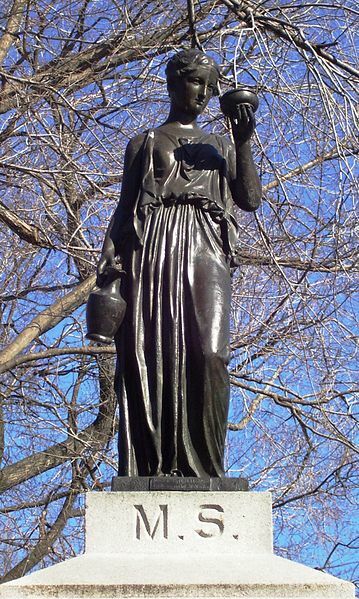 Donated by a wealthy temperance crusader who had it cast in 1888, it features a bronze figure of the Greek Goddess Hebe, cupbearer to the Gods, on top of a pedestal supported by four columns. 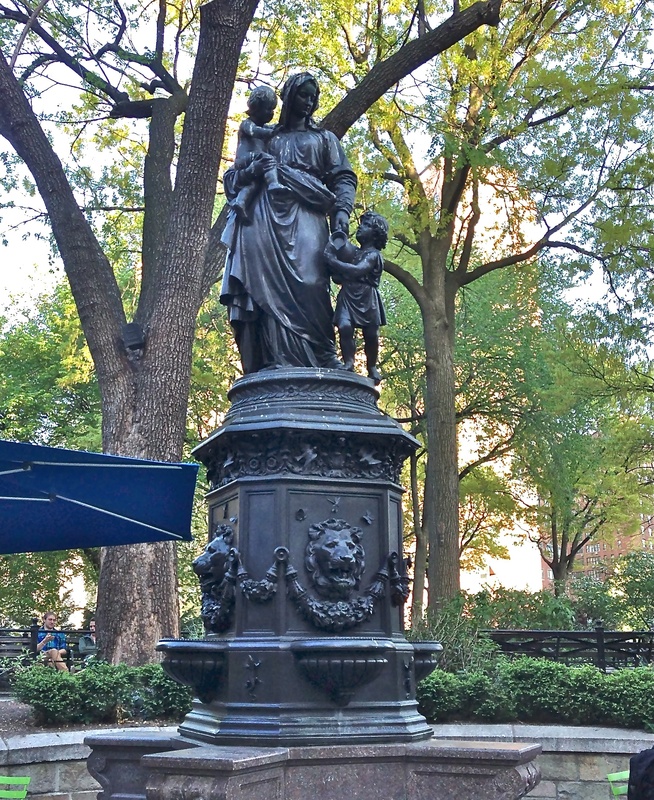 Blocks away on the west side of Union Square is New York’s second remaining temperance fountain. Paid for by another rich temperance convert and dating to 1881, it’s a figure of Charity that really works the innocent mother and children angle. Both statues are the legacies of the movement that gave us Prohibition—and speakeasies—in the 1920s.